The Europan assignment asked for the conversion of a former industrial site in Vienna’s fragmented suburban south into an exemplary housing complex, manifest for the diversity of contemporary living models. At the time of Red Vienna, the city was home to one of the most impressive housing strategies in modern European history. Vienna realized a housing project of monumental scale, building over 400 communal blocks, known as “Hofs”, progressively redefining the potential scale and ambition of large housing developments. “Hofs” continued to be implemented well into the 70’s, with substantial housing developments radiating out of the city in all directions, many of which are clustered near the competition site. In this context, the restriction of the site to only 400 dwellings seems woefully underdeveloped. Our proposal offers 700 dwellings which is still a very modest solution when compared to projects such as the Rabenhof which has a similar size site with nearly double the amount of dwellings. The project accumulates and reinterprets various episodes of the 20th century collective intelligence on housing, fusing it together into an implausibly rich whole. The agglomeration of typologies guarantees that differences will be exposed and nurtured. 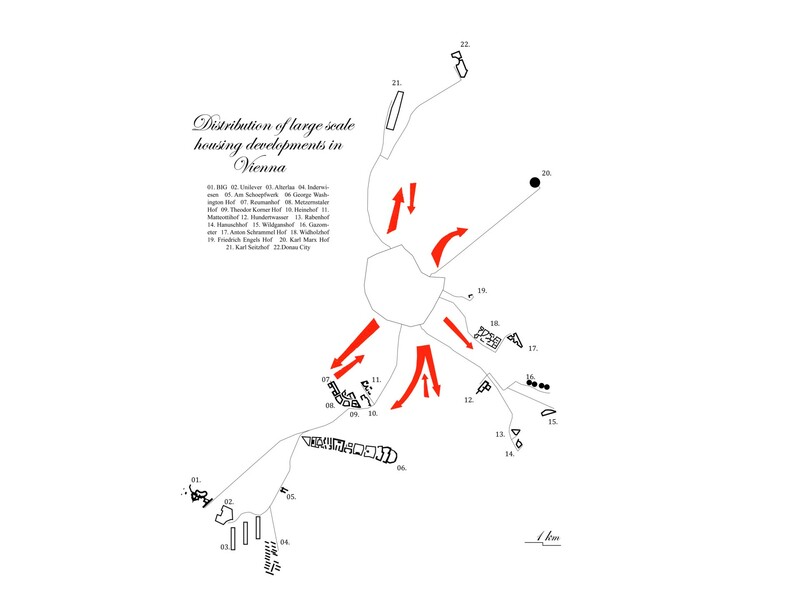 The deliberate coexistence and interconnection of types stages interaction and fosters the creation of a community. The diversity of types ensures the needs of ALL prospective tenants will be met, with the flexibility, to continue meeting their needs over the course of their lifetime and into the future. The various typologies are merged into a specific form that responds to the site and its context, reflecting the site’s position at the intersection of the surrounding 8 island conditions. 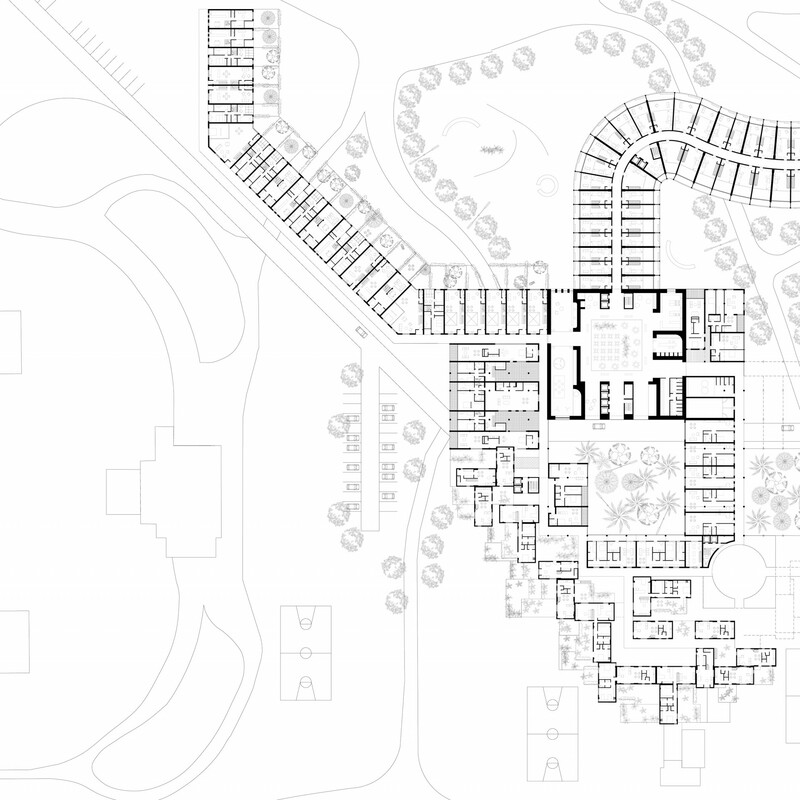 As the adjacent environment changes from industrial to small housing plots, the proposal morphs from one typology to another in response to scale, mass, height and open space. Whilst the appropriated typologies are universal, their implementation within the project is specific and a direct response to the site. 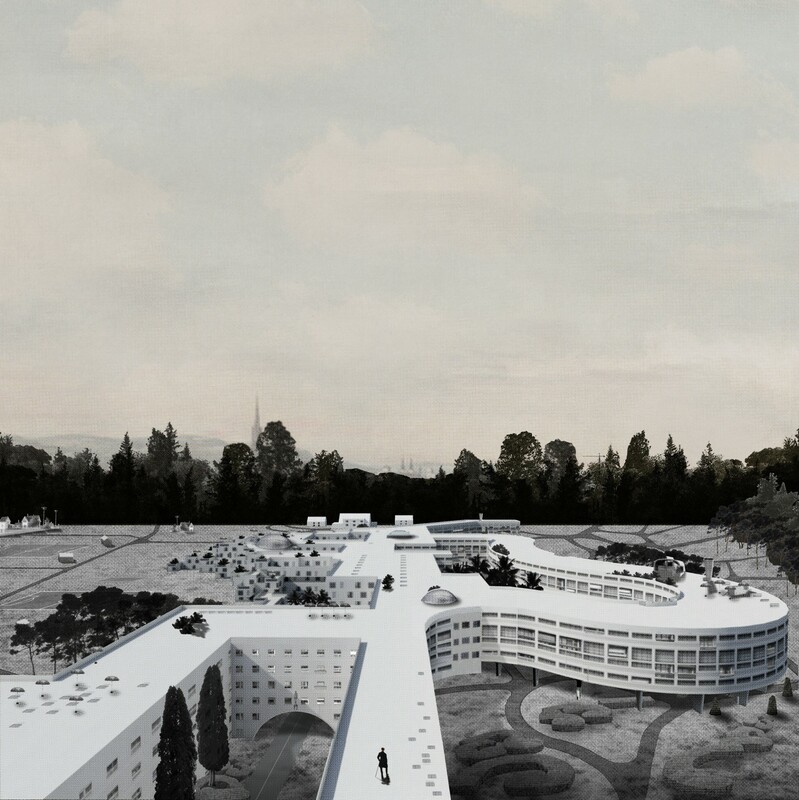 The proposal features five main typologies with hybrids emerging at points of transition. 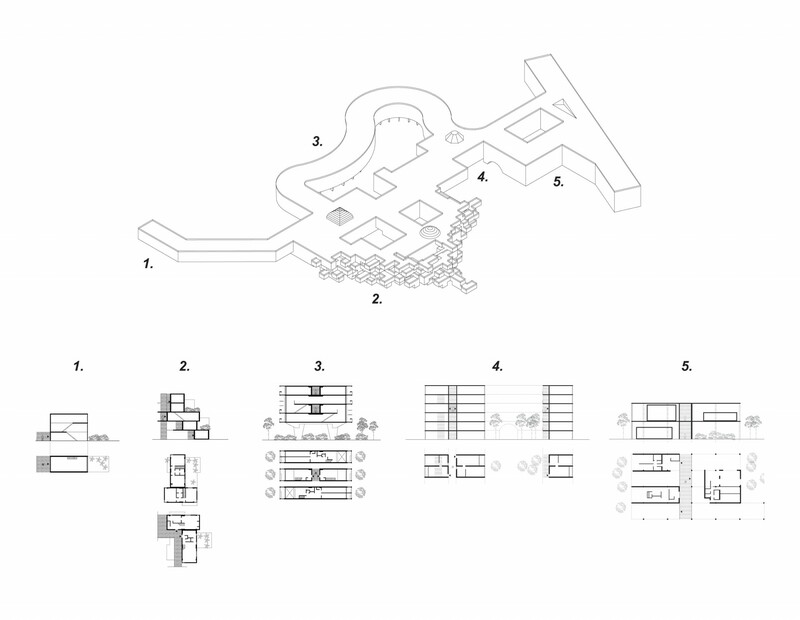 The typologies meet at 4 public cores that create epicenters of activity, housing all the public and communal uses and the main vertical circulation, connecting down to the car park. 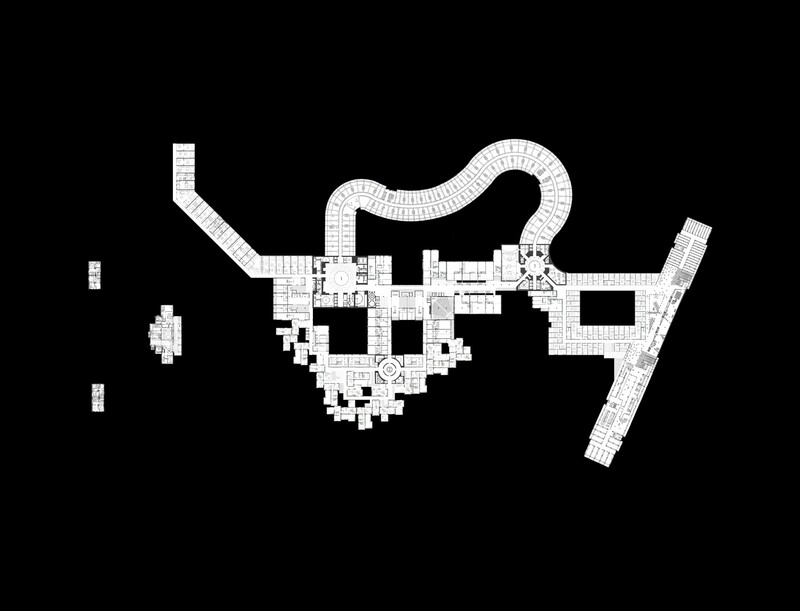 At the mid-level of the complex, all typologies are unified by a continuous circulation path.